Imam Abdul Rahman Bashir, aka Imam ARB, started his pursuit of the basic Islamic studies and Arabic grammar at Jamiatul Uloomil Islamiyah (Institute of Islamic Sciences) Allama Binoori Town, Karachi, Paksitan. Shortly after, he transferred to the Institute of Islamic Education in Dewsbury, England where he completed the rest of an eight year Islamic theology & jurisprudence curriculum graduating in the year 2000 as valedictorian. 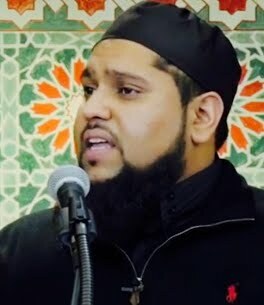 Imam ARB served as the religious director for the Jefferson Muslim Association in New Orleans, LA from 2001-2006 and then again from 2011-2016. During that time, he was involved in many interfaith initiatives and has worked closely with local and federal law enforcement agencies. Imam ARB currently resides in Allen, Texas and serves as the Imam of the Islamic Association of Allen. Imam ARB is fluent is English, Urdu and classical Arabic and is happily married with three boys, Bilal, Jamal and Kamal.